Vacation rental house. Sleeps 16, 5 bedrooms, 7.5 bathrooms. Dogs allowed. 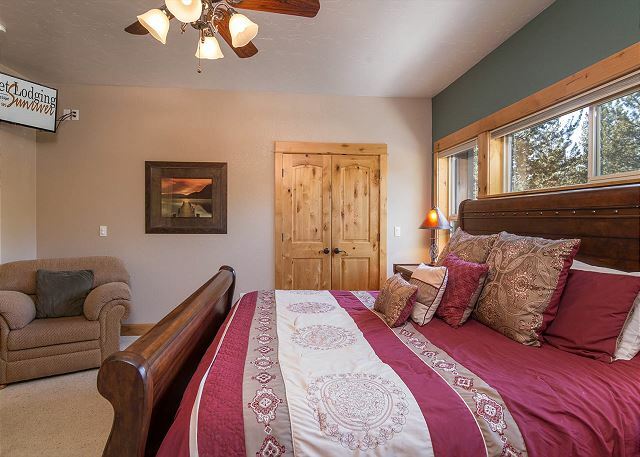 All of the 5 master bedrooms offer a TV w/ DVD player, high end bedding and private bathroom. 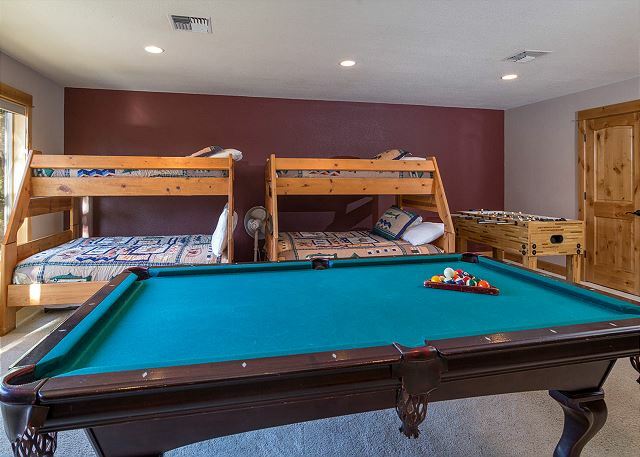 The upstairs game room area provides 2 sets of bunk beds, pool table and a foosball table with extra seating…perfect area for kids! 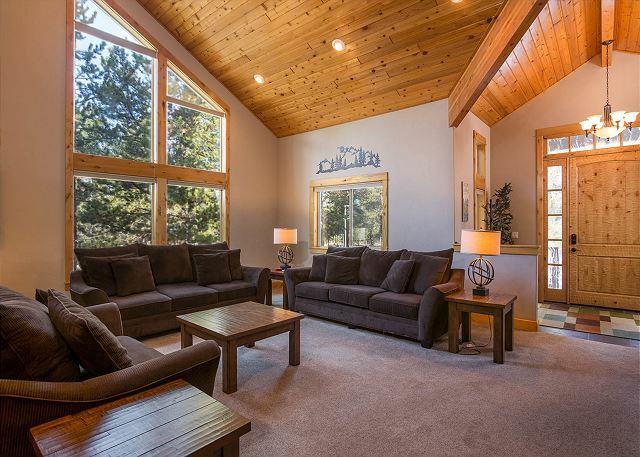 Invite up to 16 guests and your four legged best friend in this premier, pet friendly vacation dream home. 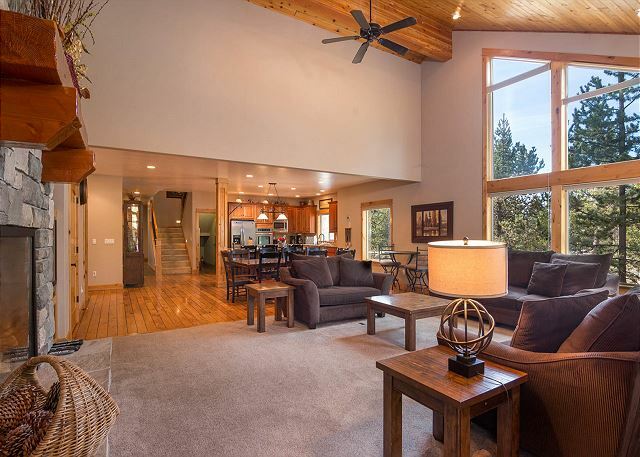 The large fully stocked, high end kitchen area with 2 refrigerators, double ovens and large cook top overlooks the grand dining area that leads to the impressive living room with a gas fireplace and multiple large windows to let in Sunriver’s year round sunshine! 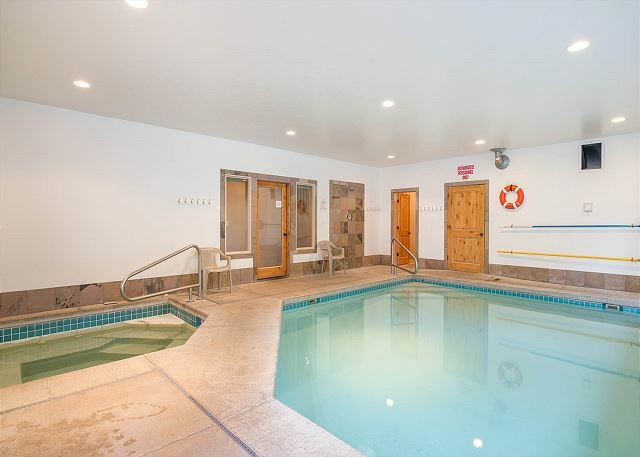 If the first class furnishing and extra amenities like A/C, bikes and tennis rackets are not enough to entertain your family and friends, take a dip in your private indoor pool (4ft to 3ft deep; 15' x 20') with security access and relax in your private indoor hot tub. We’ve stayed at this house 5 times now. We enjoy the size and the kids enjoy the pool. It is fairly loud in case you have someone that wants to go to bed ahead of others or nap, that won’t happen and it’s kept fairly cold so take some blankets. Other then that is a great house for a big party!! Would recommend. Thank You for your review, Lance! We thank You for coming back to this home 5 TIMES!! Let's hope to see you for a 6th! We would love to host your next stay! Thank You for the beaming 5 star review, Christine! 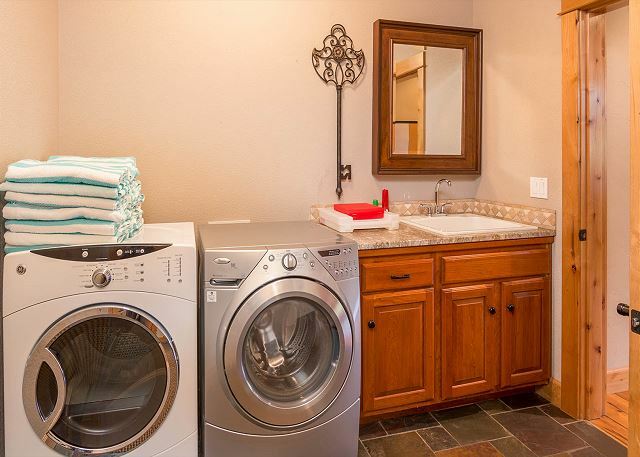 So glad to hear that this home was perfect for your group and had everything that you needed! Can't wait to host your group again! Spending time together is always the goal, from card games, to walking in the snow. Having a private pool for all the kiddos has truly made this a vacation to remember. Having enough bathrooms with this many people and kiddos potty training was super helpful. This House felt like home. The staff went above and beyond the call of duty! Merry Christmas to all and thank you for the incredible memories!!! We will definitely be back!! Thank You for your wonderful 5 Star Review, Kathleen! We are delighted to hear that your stay was fantastic and that you enjoyed all that this lovely home offers, We would love to host your group again...Come back soon! This was our 3rd time at White Elm 33. The kids love the pool and everyone likes the hot tub. Everything was clean. I do wish there was a user manual for the oven. It took me awhile and some help from my Grandson to figure out some of the features. Thank You for your 5 star Review, Laurel! We are so glad you had another great year in White Elm 33! Come back soon! We just returned from a week at this beautiful house. we had four families with kids. The pool was a hit for the house, but the adults wished there was more of a sitting area or deck space. The house was super clean and comfortable and we did not have any issues. Thank you for the 5 star Review, Heather! So glad this home fit your large group and the pool was a hit! Come back Soon! The house is big with plenty of things to keep us busy or just to relax. 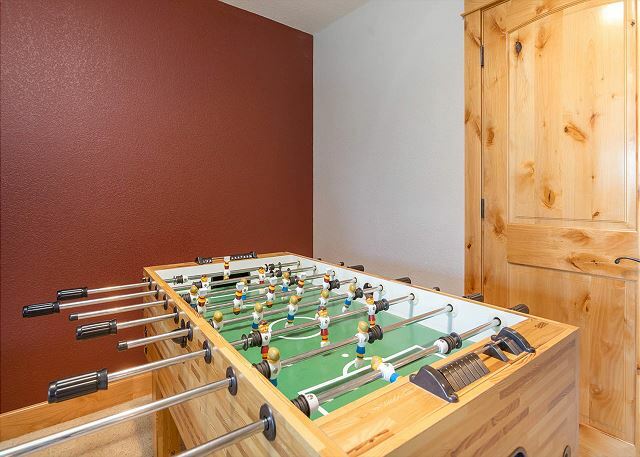 Ping pong, foosball, pool, bikes, board games, SHARC passes, and your very own pool with hot tub. What more could you ask? The kitchen was well stocked with room to cook. Plenty of room for 16 to sleep, overall we had a great time! The hot tub was cold the first night as the heat was just turned on prior to us arriving. Perhaps the house wasn't occupied prior to our stay. It needs a good day to heat up, so enabling the heat prior to the guest arrival would be great. Only other big concern was the built in microwave, which worked for a while but then started having issues. After heating up tea, the microwave stopped as was expected when the time ran out. However, when opening the door, it would automatically start right back up even though the door was open. Property management, please get that microwave replaced! I reported it the day we had issues. Thank You for your review! 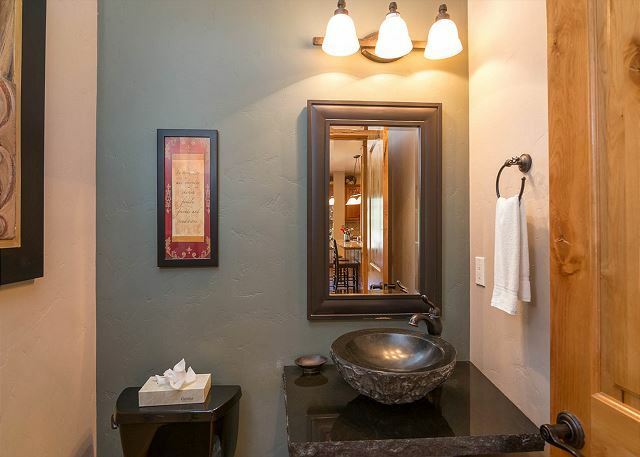 Glad to hear that you enjoyed all that this wonderful home has to offer! I spoke with the Hot Tub Company and they verified that the tub was drained and filled just prior to your arrival after a repair was made and that is why it was still heating when you arrived. Thank You for reporting the issues with the microwave, I am happy to hear from our maintenance department that it will be fixed and that they were able to get you a counter top microwave to use in the meantime. We hope to see you again in Sunriver! Nice house, well equipped. Poo; and hot tub awkward to use due to security system. BBQ on back patio out of back bedroom not usable. House was clean and management was readily accessable when the TV did not work. All in all a very nice headquarter home for our USTA tennis team. Thank You for your review! The pool and hot tub security system is in place mainly for young kids to alert when the access door is open, I will make sure that the instructions are posted and am happy to hear that we were able to get the Cable back online and we hope to see you again next year! The description of this property was pretty much as advertised. It was roomy enough to accommodate our large family. The indoor pool was a plus for the kids when we wanted to just "stay home". Everybody loved going to SHARC but it would have been nice to have 16 passes since the home can accommodate 16 people. We had to "take turns" instead of being able to go all together. We enjoyed bike riding on the trails & day trips to attractions in the area -Bend, floating down the Deschutes river, lava tube & field, hiking, fishing. Customer service was good & we got answers to our questions quickly & courteously. One negative for us was that there wasn't an outside deck or area large enough for our family to sit outside & visit or barbecue. The property was fairly clean & maintained but seemed like it could use a deep cleaning & maintenance & repair checkup. These were minor & didn't spoil our vacation but at the same time we paid a lot of money to stay & feel these things should have been taken care of. I would still rent this house again & recommend it to friends. Our friends recommended it to us & we will pass it on. Thank You for your review! We hope to see you in Sunriver again soon! We loved your home during our one week stay. The masters are all great with each having its or bathroom. The kids loved the pool! The only problem we encountered was the air conditioning didn't cool the house very well. It didn't get below 75 degrees. The only other thing we wished it had was better access to the deck. We didn't use it much at all because you could only get to it by going through a bedroom or walking around the outside of the house. Melitta, thank you for your review, we appreciate your feedback on White Elm #33. 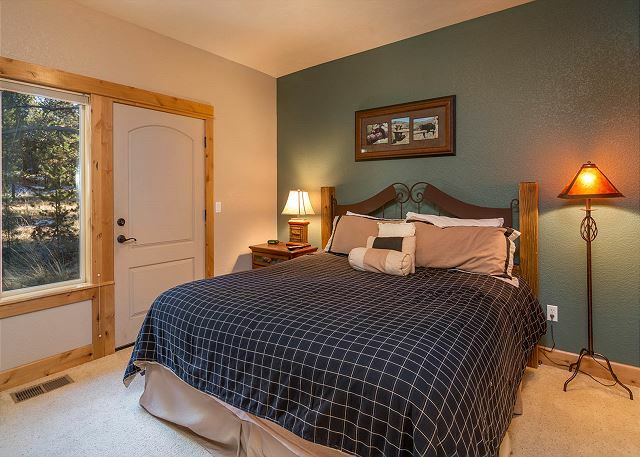 We are glad you loved the pool and master bedrooms, it's a favorite for sure! I will have our maintenance department check the A/C unit. The deck is a little different setup and hope you were still able to enjoy it during your stay! We hope to see you again in the future. Overall very good. Few minor issues, but nothing that couldn't be corrected. House itself worked great for our purposes. Pool was a great feature, along with the 8 bathrooms. Would definitely rent this house again. Thanks so much for your review Josh! We are glad that you had a great time in White Elm 33. We hope to see you again in Sunriver soon! Wonderful home for multiple families. 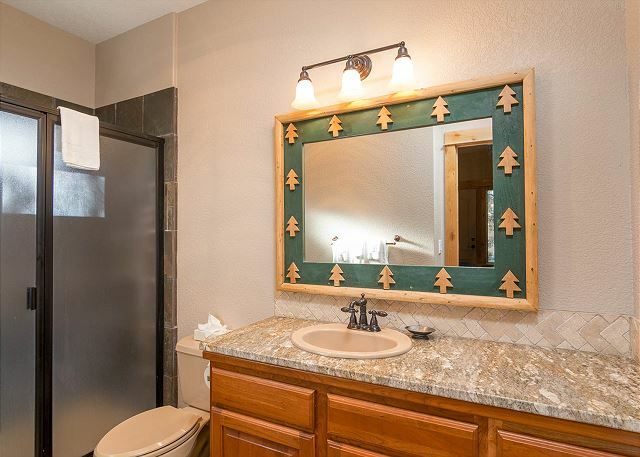 The pictures from online mirror the property. We had three families with teenagers who stayed in this house. We are we're very comfortable and had enough room to spread out. The kids especially loved the indoor pool. We loved the pool with the exception that the spa ran all night and for some it was like a lullaby for me it kept me up as we slept in the master across. It wasn't until the last night that we figure out how to make the spa stop running. The kitchen was well equipped with everything you need. Extra coffee pots, extra utensils. It could use some new cooking pans, they were worn. But overall it literally had everything you needed. The Sharq passes we're a plus for use of all facilities. We loved the access to tennis courts and the outdoor pool. The location of the house was perfect. We loved being close to the road because we were close to all the trails. We also loved the bikes that were provided. The only draw back was two of them had lose handle bars and one while we were riding it, the chain broke. They need some TLC. Every single one of us had the most amazing time while we visited sunriver. This house was perfect! My only suggestion would be for the property management company to ensure their guests are aware they are supposed to leave the back door open for the pool maintenance guy. We were unaware of this and our son was home alone doing homework while we enjoyed Sunriver amenities and he was startled when the pool company used the code to enter. This was our biggest concern, it should have been communicated in advance to us so we knew what to expect. Overall this was a 5 star rental. Thanks so much for the great review Darla and Josh. We are so happy that everyone enjoyed your stay at White Elm 33. We will let the owners know regarding the bikes and make sure that there is better communication in the future regarding the pool guy. We do have a 24/7 Maintenance department who would have came out to help with the hot tub running for the future. We appreciate your review and we hope to see you again soon in Sunriver. Hi Kraig! Thanks so much for the great review. 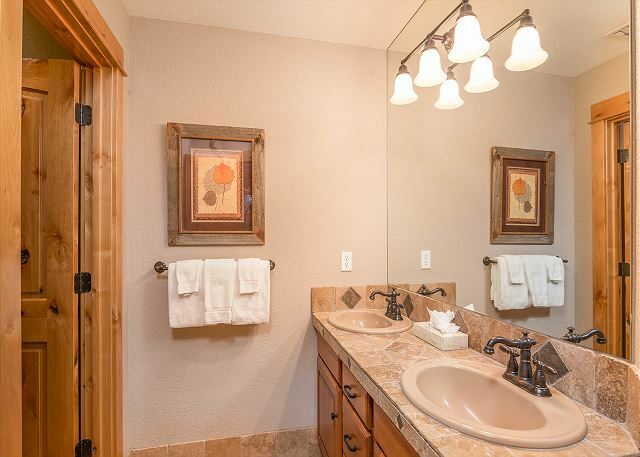 White Elm #33 is a great property and we hope you come back and visit us in Sunriver soon! Very well kept home, spacious and clean. Heated pool and hot tub were great. Only downside was that the jets for the hot tub were not working, but that wasn't a deal breaker by any means. The home was in a great location and the bikes they provided were a nice bonus - would suggest having a bike pump accessible to guests, but again not a deal breaker as there were plenty of bikes with air in the tires. Had a very nice and relaxing time at this house and would definitely stay here again/recommend. HI Macie! We are thrilled you had a great time staying in White Elm #33. Next time you visit, if there are any immediate needs or issues, please call us. We have a 24 hour Maintenance and hot tub staff that would have came over and looked at the Jets on the hot tub and also provided a bike pump. Again, Thanks so much for the review and we hope to see you back in Sunriver soon! Jacuzzi Hut Tub was not hot. Was not prepared, heated and checked ahead of time for our stay so that we could get to used it. Hi Mark, I apologize for the Hot Tub issue. We sent maintenance out twice and they noted that it was heating properly. We hope your Youth group was able to enjoy the pool and all the other amenities that White Elm 33 has to offer. Please come and see us again soon! We appreciate your business. We have stayed in 33 White Elm before and love it! Great size and all amenities. Only things we would suggest to owner is to regulate heat on second floor better. It was an oven upstairs and a cooler down each night. Water pressure in downstairs bedroom with bunks is poor. 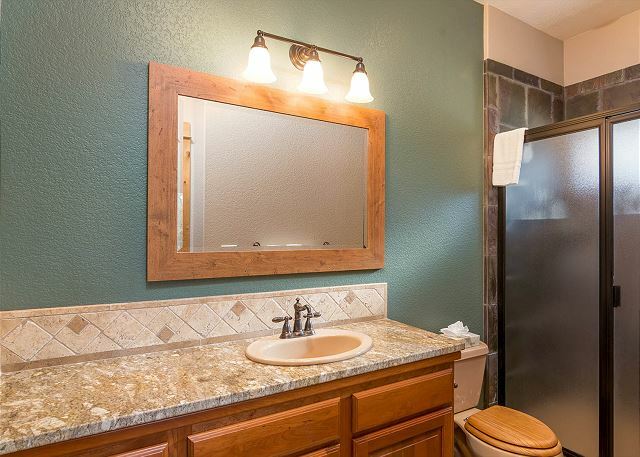 We shared the master bath with another family. Other than that, this is a terrific home for tons of people. Pool is always a hit as is the ping pong and pool table. Thanks for the memories! Thanks for your feedback, Leslie! We'll have our maintenance team take a look at the water pressure to be sure there are no plumbing issues. 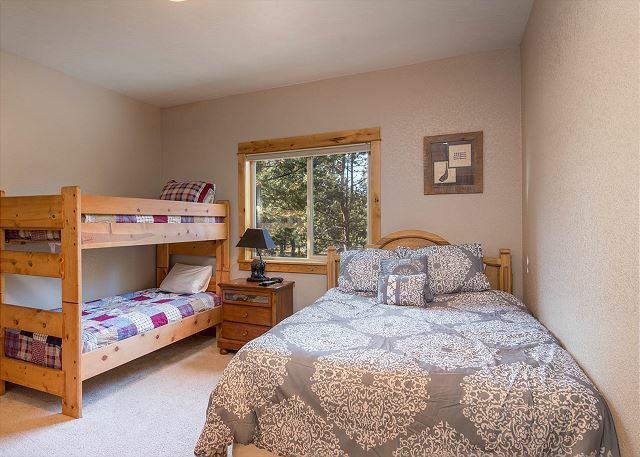 We hope you'll get back to White Elm 33 and Sunriver soon! We had 13 people staying for 5 nights, and the house worked quite well for us. We had only two things we wanted to mention: we needed brighter light in some areas, especially in bedrooms, which were too dim for reading. Also the upstairs was too warm for those sleeping there, despite the comfortable temperature downstairs. We couldn't find a second thermostat that would have changed that. Otherwise, everything was great! 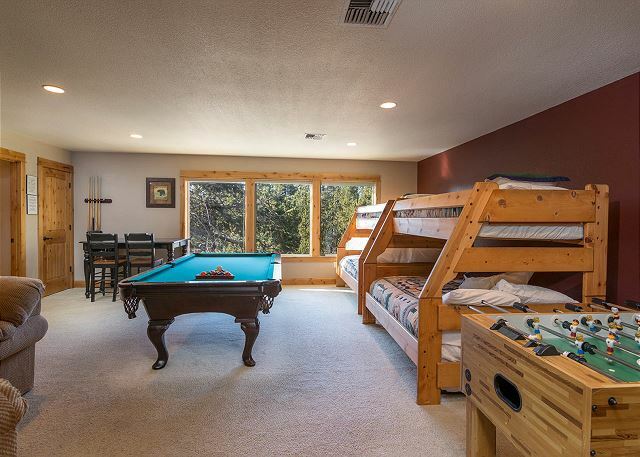 The kids all loved the pool and hot tub, as well as the games upstairs and down. We are so glad you enjoyed your visit to White Elm 33, Jeanne!! Please come back and visit us again soon! Good over all. Giant house. The pool was fun for the kids. No real outside hangout. Thanks Trevor! We hope you'll get back to White Elm 33 soon! This was an amazing vavation home. Our entire family enjoyed the space offered by this home. The home was clean and well stocked. I really enjoyed working with the staff of Sunset lodging. They were helpful in sharing the information of Sunriver. This was our family's first time at Sunriver. This will be our regular vacation rental from now on. There is truly no comparison to any other property. Helena - we are so honored to have you as a guest. We hope you'll come back to White Elm 33 for many years to come. Thanks so much for being such great guests!!! 14 of us stayed at 33 White Elm for 8 nights in August, 2016. We had 9 adults and 5 teenagers. The house is enormous and was plenty big for that many people. The pool is small but was such a great addition to the home and the kids loved it. Having a pool table, foosball, and ping pong were also nice perks. Beds were comfortable and linens were nice and clean. The kitchen/dining/living areas were huge and had plenty of space for all of us. While the house is well equipped, most things are rather tired and could use some updating (e.g. pots and pans, refrigerator had two broken drawers). If you require the most up to date AV equipment do not stay here. Wifi was very weak and spotty and had to be reset a number of times. The living room large screen TV was very old and quality was green and grainy. The stereo system also very old. Bring your own bluetooth speaker. The TVs in each master are old box style. The TV upstairs in the bunk area was better and they did have an XBOX which was a hit, plus the kids could use Netflix through that. The wall to wall carpet in main areas was very stained, furniture was clean enough and comfortable. If you like a great outdoor space this is not the home for you. BBQ is all way around the back of the house, along with the chairs and table. Completely un-usable unless you move them to the driveway. Only access is to walk all the way around, go through the pool area, or one of the masters. Location to village, SHARC, Fort Rock Park, River is great and the location right on Abbot Drive was not a deal breaker for us. Sometimes loud cars could be heard during early morning but not a huge deal. All in all, we loved this house, even with its flaws. 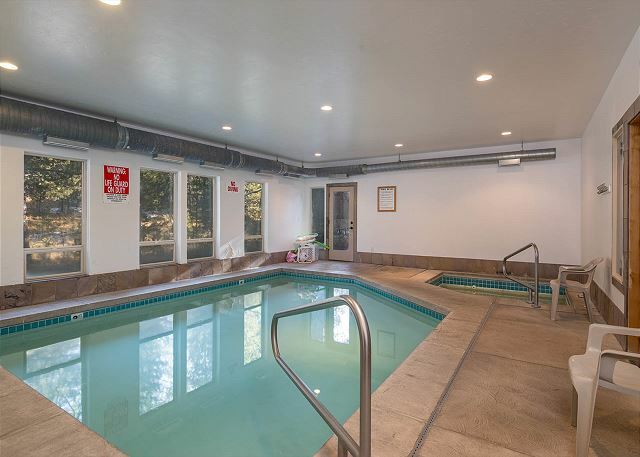 The location and spaces were great, the pool and extra amenities were awesome and made it a house that we would most likely rent again with a group this size. If they were to update AV and create a usable outdoor space I would hands down give it 5 stars! Thanks for this feedback, Stephanie. We'll get with the owners and take a look at the electronics. The home will have the carpets deepcleaned in September after a busy summer season and be good as new. We hope you'll come back for a visit soon and again, we thank you for taking the time to offer your feedback, we truly appreciate it! We have been coming to SunRiver for 40 years and love it there. The home we rented this year was wonderful, the weather perfect and the new adventures always a great time. Looking forward to next year. White Elm 33 is certainly a crowd pleaser, Dennis and we are so happy that it worked well for your visit! Please come back again soon, we really enjoyed hosting you here in Sunriver. Mostly very good except one major problem. All the bikes were single speed and we were not informed. As such, we had to rent bikes with more than one speed. When we told management, they (she) said all the homes only had single speed bikes. This was absolutely not true since this was the 8th rental for us and it was the only home that had only one speed bikes. I do not appreciate the way they handled it by trying to B.S. us and offered no assistance. The patio was poorly situated and could only accommodate six people yet the house was designed for up to 16. It was like it was tacked on as an after thought. I would have rated this property and management higher except for these problems and added cost. Terry, this is difficult to address because we don't ever 'inform' people about what speeds the bikes have because they change quite often. We just say in our advertising that either the home has bikes or it does not. 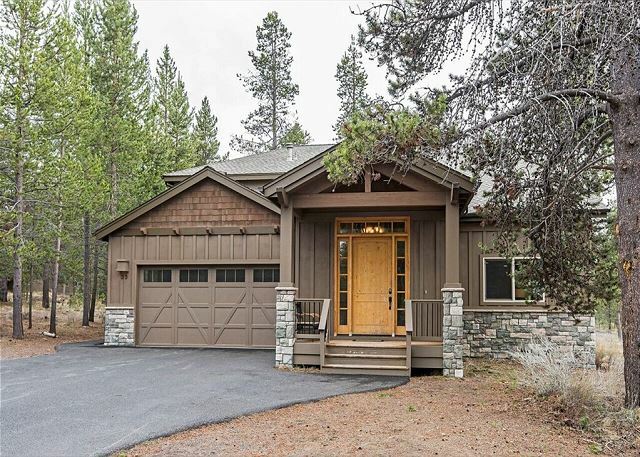 We are always grateful when owners include bikes, but they are not a 'requirement' and there are MANY homes in Sunriver that don't include them at all. So it seems even more strange that someone from our organization told you that "all the homes only had single speed bikes". No one tried to BS you, the owners either provide bikes or they don't. We never guarantee what 'kind' of bikes they will be since they change often. We are sorry this was not more carefully explained to you when we had the opportunity. Also, White Elm was built to maximize indoor living space (ie, the indoor pool) and it was never the owner's intention to have a big patio. 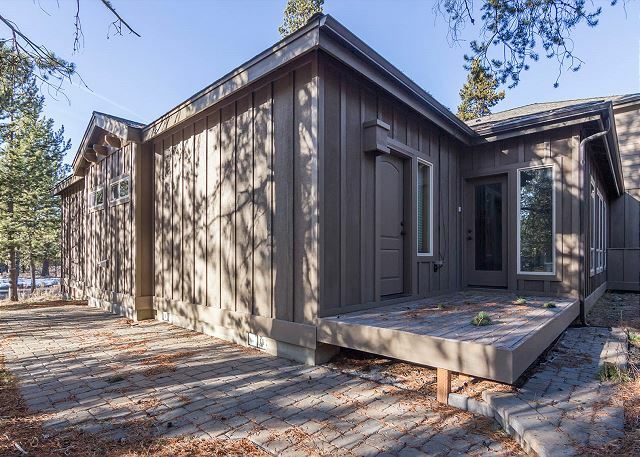 White Elm 33 is far and away one of our most widely popular homes, so perhaps next year we can find you one that has a bigger patio and different bikes, leaving White Elm 33 open for it's multitude of repeat guests. Thank you for your feedback! White Elm 33 is a great house for a gathering. The pool was a hit as the weather was iffy for a few days. The house was well furnished for a large group of various ages. It was clean and surprisingly showed little wear for a rental. the house is lovely, but has been very USED!! needs more detail to cleaning. the pool was very nice. Pans in kitchen need to be replaced. Beds were great. Carpet should be cleaned. space was great for big family. This is a very nice house for accommodate a large group. We had a couple things that we felt could have been improved, being the Internet- you don't have access to reset and get it to work when it doesn't and signal is so poor for a large house. Another thing we'd improve is, half of the TV'show don't work. While the pool was nice an outdoor space that was easily accessible would have been better, the small patio is useless, especially to a large group. We had a great 4 days. The kids especially loved the indoor pool and foosball. This is our second time and White Elm 33. Everything was very nice and clean. Thanks for your feedback Laurel. White Elm 33 sure is one of the jewels in our crown! We hope to see you back in Sunriver again soon. Five golfing buddies playing in the PacAm had a great eight night stay in this house. 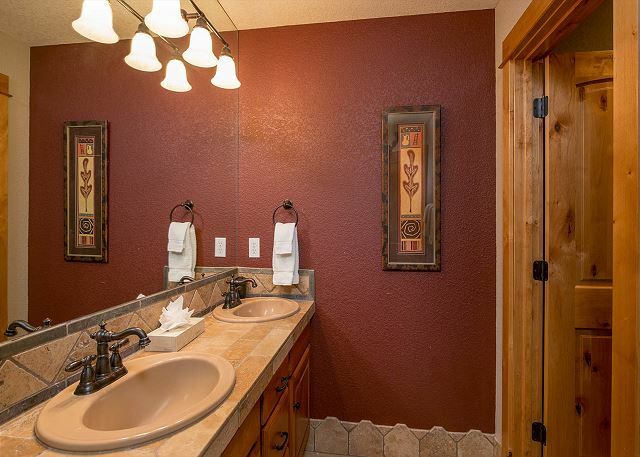 With 5 MBRs and private baths, it was perfect for the five of us. Hot tub and pool are great after a day on the course. The folks at Sunset Lodging are the best! I've rented five different times from them and they've always been tremendous to work with. Thanks Peach!!! We loved having your group visit White Elm 33 and we hope to see you again soon! Family reunion that will go down as one of the greatest we've had. The accommodations were perfect for our family and we hope to do it again. White Elm is certainly one of the jewels in our crown when it comes to family reunions, Janet. We are SO GLAD to hear that yours was great! This home was designed and built by people that had the vision of hosting family events such as yours, so it is always such a bonus to hear that the hard work paid off. Please come again soon, we'd love to host you again in Sunriver! Great for large groups!!! Plenty of space!!! Pool was awesome!!!! We will be back!!! This is SO good to hear! 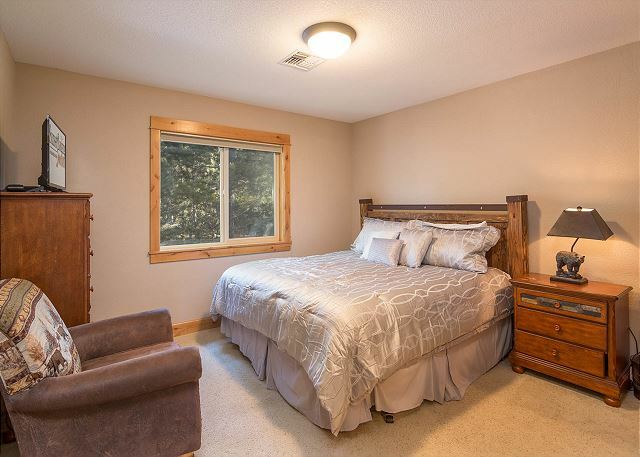 Jacki, the owners of White Elm 33 put SO much thought into how to perfectly accommodate large groups and families. We sure do love when it pays off! So glad to hear you had a good visit and we hope to see you again and again back here in Sunriver. We were in town on Memorial Day weekend for a baseball tournament, so we had four families staying in the home. It was enough space for 8 adults and 8 kids to stay comfortably! The indoor pool was a huge hit with the kiddos and the parents alike. 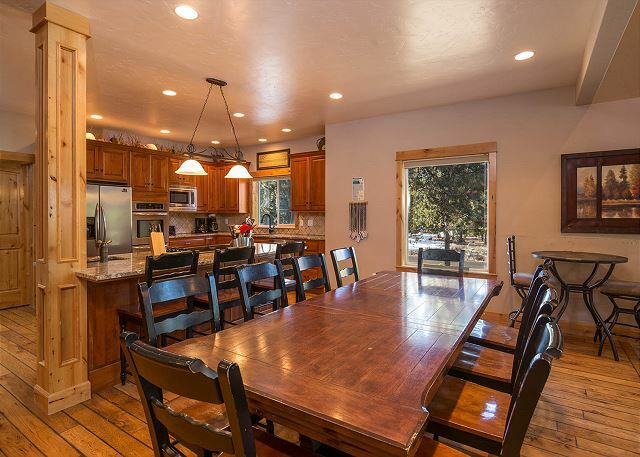 The kitchen was great for entertaining and the seating was more then adequate. The only downside was the location. It is located on a major road and the traffic noise was a bit much with the windows open. And the outdoor space was lacking for entertaining. It had no decking so we all had to hang out in the driveway. The upside was that we had some epic ping pong battles!! Overall, I would highly recommend this house. Another great thing about our experience was the people I dealt with at the rental company. They were amazing and beyond helpful!! We're glad you had a good time, Kraig :) Please come back soon! We had a awesome time in this home. It has fast become our new favorite and we will definitally rent again. you need a new air conditioner. or you need to tell people to bring fans. Our family of 15 (3 generations) recently spent 5 nights at White Elm #33. 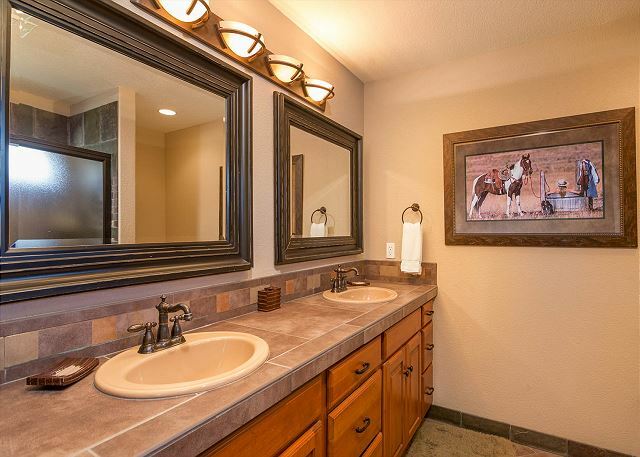 Everyone was delighted with all the amenities this home provided. Each adult couple enjoyed a king-size bed, and there were ample beds for all 7 kids, ages 9 to 15. The indoor swimming pool and hot tub were very popular, as was the table tennis equipment. 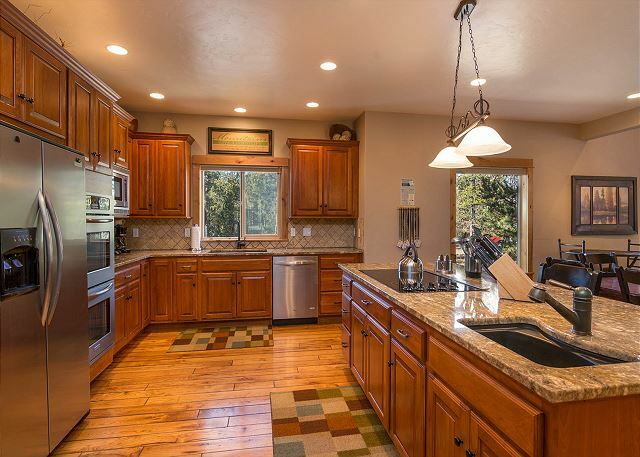 The house was immaculate and well-provisioned, especially the large kitchen. One drawback we found with the layout of the house was the awkward accessibility of the small patio area with the gas grill. If a renter enjoys frequent grilling and outdoor eating, this set-up is not ideal. Overall, this house wonderfully met our needs! Thank you for the review! Come back and stay again soon! This house was more than fabulous! We had three families with kids aged 5-15. It accommodated everyone perfectly! 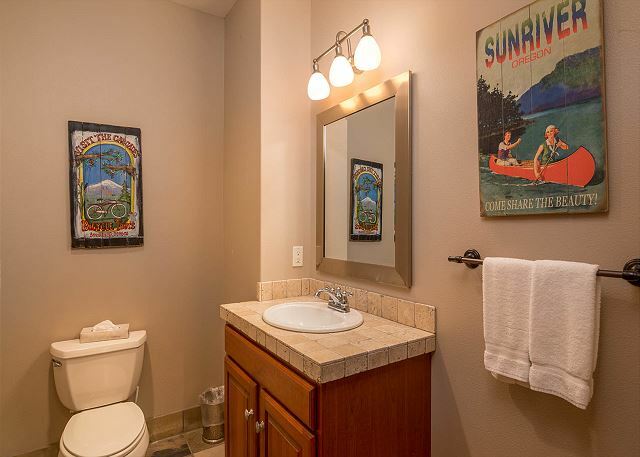 It was laid out just right and had all of the amenities one could ask for! We can't wait to go back!! We absolutely loved the stay at White Elm #33. 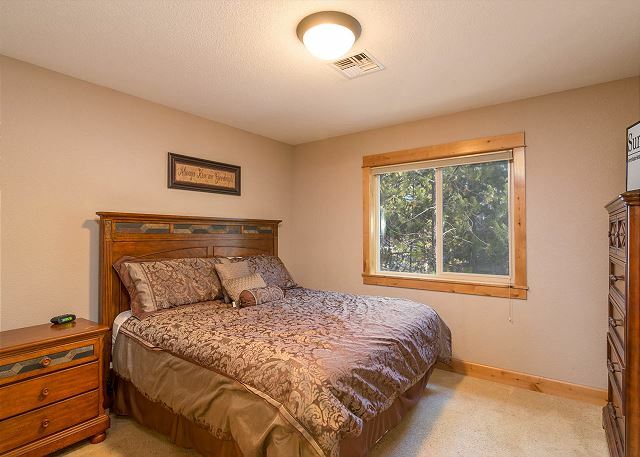 Lots to do for all ages, well cared for, and very comfortable. The internet connection is very poor, goes in and out. ICE left on walk up to door, should have been cleared off. Garbage was almost full in garage when we arrived, was very stinky. The internet connection was still in the process of being changed over to a new company while you were here, next time you come stay we are sure you will find that the connection is way better! We do try our best to keep the ice cleared as best as possible off the walk ways bet with the conditions that we have been having this year it has been challenging. 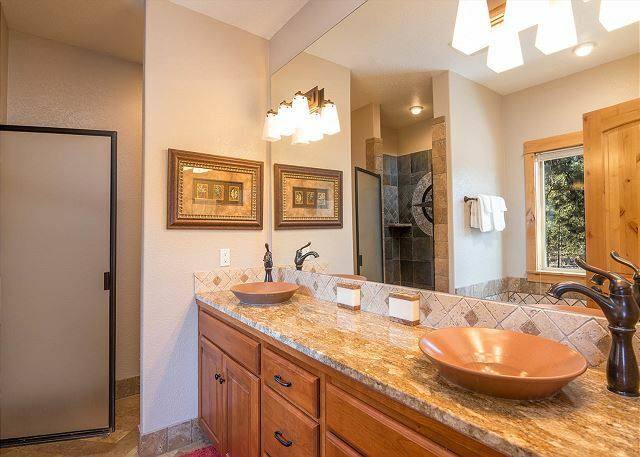 We are glad to see that your overall satisfaction with this property was a 4. Thanks for the review.